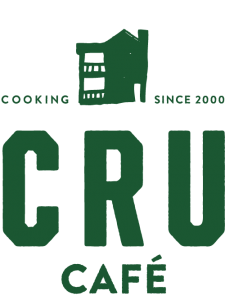 For more than two decades, Cru Catering and Café Executive Chef and Owner John Zucker has been creating a recipe for success in the Lowcountry. His award-winning catering division, Cru Catering, has been voted Best Caterer consecutively since 2001 and his restaurant, Cru Café, is Charleston’s hidden gem receiving accolades and write-ups yearly thanks to John Zucker’s ambition to offer a delicious gourmet twist to comfort food. 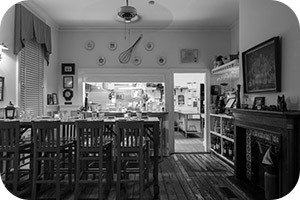 Cru Café opened in 2002 and is ranked as one of Charleston’s top eateries. As the number one graduate in his class from Le Cordon Bleu in Paris, Zucker has trained and created culinary delights under celebrity chef Wolfgang Puck at Spago in Las Vegas. From there, he became sous chef for the opening of Canoe, which was nominated “Best New Restaurant of the Year,” by the James Beard Society. Having a knack for knowing a kitchen inside and out and a fiery determination to serve top notch creations, John Zucker is also one of the most sought-after restaurant consultants in the Southeast. Zucker has served as a restaurant consultant for McCrady’s Restaurant, 39 Rue de Jean and Fish, in Charleston, SC, and Nona’s Italian Kitchen in Atlanta. Zucker is active in the nonprofit community and was recently named Vice President of Charleston Chefs Feed the Need. When he’s not helping out local charities, he spends the rest of his time focusing on ways to keep the restaurant and catering business fresh and inventive. Today, Zucker is putting his expertise to work with the launch of his restaurant and catering business, which feature Eclectic Modern American Cuisine (so called because of the Italian, Asian, Southern, Southwestern and Caribbean influences).